The Pentair Intelliflo VSF is the most innovative pool pump on the market. You can reduce your pool energy costs by up to 90% when switching from a traditional single speed pump! “VSF” stands for variable speed and flow. This means the pump is able to adjust to the changes in the water flow to maintain the programmed flow rate throughout its programmed cycle. 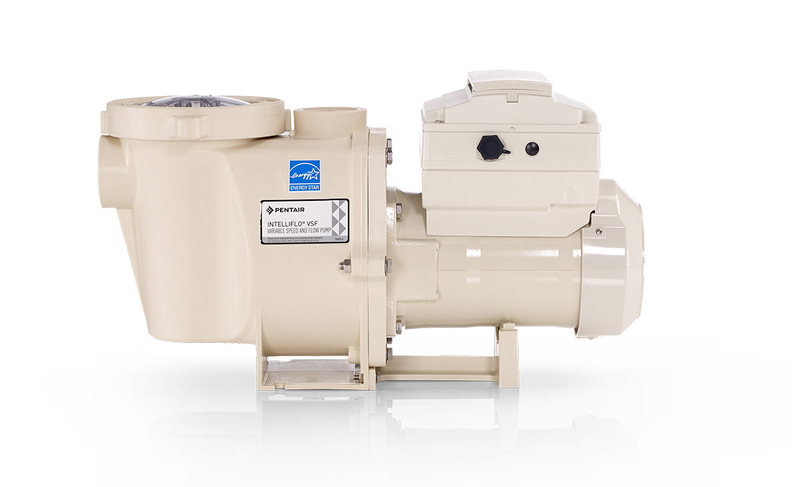 This pump has an enclosed fan making it one of the quietest pumps in the industry. The Intelliflo VSF is compatible with most automation systems. Receive a $100 manufacturer rebate now through September 30, 2018! Energy efficient pumps are currently available with a $100 mail in rebate! Don’t miss out on the savings while it lasts! Give us a call at 661-379-6520 to schedule an appointment or to receive more information.